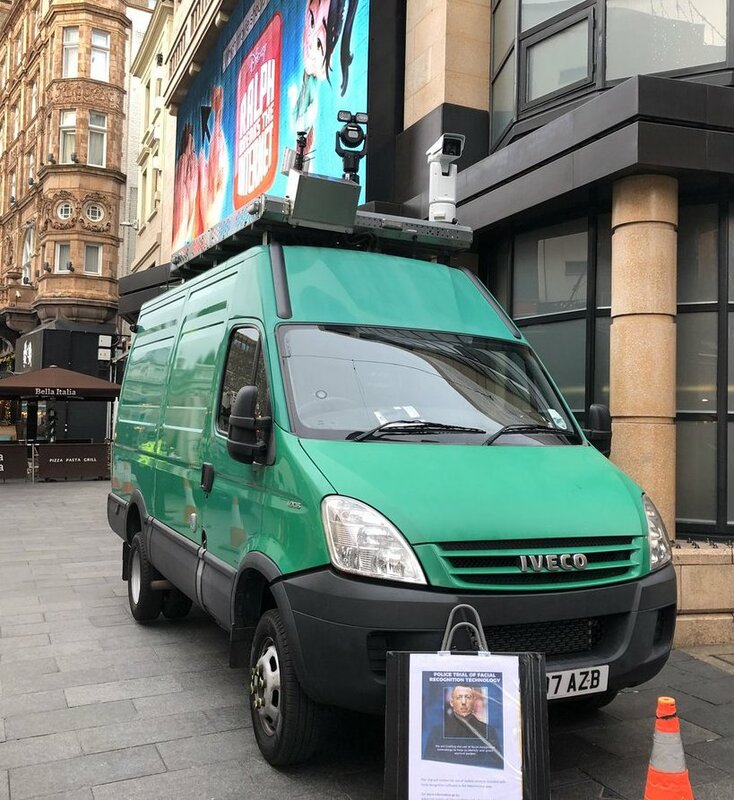 The police’s deployment of facial recognition cameras in London this week is part of an ongoing and fundamental shift in the relationship between the police and the public and in the character and use of public space. Traditionally, the regulation of people’s behaviour in public space has been largely informal. This is Jane Jacobs’ “eyes on the street” - natural surveillance. While laws were there, mostly the use of public space was governed by custom, tolerance and negotiation between peers. Of course, if someone did something particularly bad, someone else would often call the police. But this was a reaction. We’ve always had some degree of beat policing, but the police couldn’t be everywhere all the time and they weren’t needed everywhere all the time. So people in public space largely regulated themselves. What was acceptable in that space at that time was broadly a matter for the people present. Formerly, the nature of public space was by definition a place where the public could pass through or occupy without specific consent. This contrasts with private space, where a person’s right to enter or remain is entirely at the discretion of the landowner and their agents. A group of young people might not be permitted to hang out in a shopping centre but generally there is no constraint on that in the street. There are antecedents of this kind of policing in the police’s use of automatic number plate recognition (ANPR) cameras on major roads. There’s the police’s stop and search powers. And even the use of hostile design like “anti-homeless spikes” to exclude certain users and uses. Along with facial recognition, these are all part of a trend away from order in public space that is co-created flexibly between peers - the public ourselves - and a model of order that is imposed top down according to more rigid rules by authoritarian institutions like the police. If the police routinely use facial recognition to monitor and exclude people from public space, that space takes on the character of private space, where our presence is conditional on the good will and competence of an authority rather than broadly ours by right. Unlike beat policing, or calling the police reactively when a crime is committed, facial recognition technology has the capability to scale up cheaply such that it can be applied not just in one place or a few places at a time, but effectively everywhere all the time. The density of urban centres means that there’s no need for the police to surveil every square centimetre of ground to effectively exert control over huge areas. They just need cameras on the major roads and intersections. Again, the ANPR system shows how this works in practice. And the cameras don’t need to be police-owned cameras either. Google is trying to install 1,000 networked kiosks across the UK branded as BT InLinkUK, each of which has three cameras installed. They’re talking to the police about how they can work together to “keep people safe”. Now many people will say that if you’ve done nothing wrong, you’ve got nothing to fear from widespread police facial recognition. And if the police are more effective at catching criminals, that benefits everyone. Unfortunately, the conditions under which a massive increase in police capability to intervene in everyone’s daily lives could hypothetically be acceptable don’t actually exist. You would need stable and reliable technology, which we don’t have. Police deployment of facial recognition cameras at a sports event in Cardiff turned up an incredible 93% rate of false positives. You’d need a police force that isn’t institutionally racist, ageist and otherwise discriminatory, which we don’t have. And you’d need broad social stability and faith in the institutions of the state such that we’d be confident such powerful technology wouldn’t be appropriated and weaponised against large groups of people, such as three million EU citizens who are having to apply to keep living here. So sure, if you want to make you and your family and friends’ ability to move around the cities you call home conditional on none of you ever unreasonably appearing on a government watchlist, or being mistaken for someone who does, go for it. If you want to applaud the police building the infrastructure that with one change of practice, policy or law can be used to instantly turn every urban centre into a no-go zone for anyone the police or the government doesn’t like this week, go for it. But I hope that most of us will realise that one vital constraint on the power of the state – the lack of resources to intervene everywhere all the time – is being swept away by new technology. And if we don’t act to constrain it in other ways now we’ll soon lose the ability to. Because how do you protest against a police state that has a camera on every corner and a database with the faces of every protester? 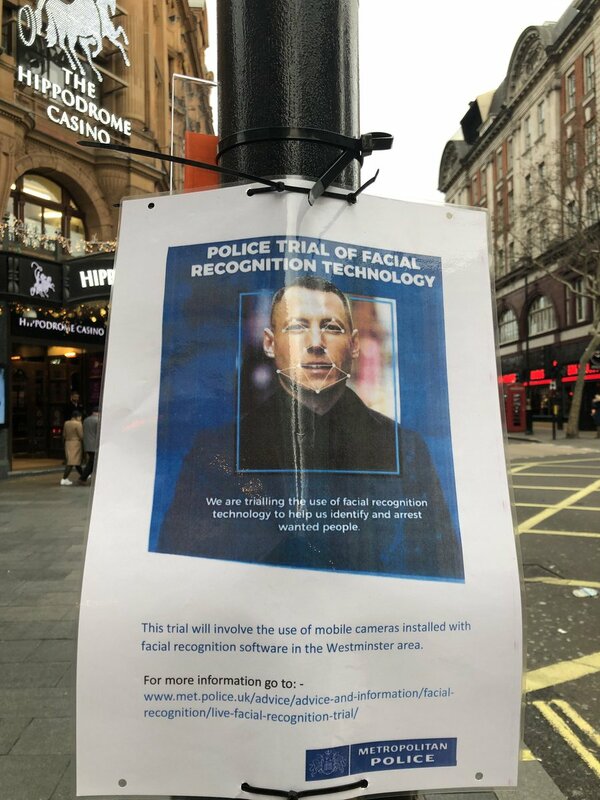 Please consider supporting the #FaceOff campaign against police facial recognition in the UK organised by Big Brother Watch, Liberty, Open Rights Group and others.